an article published on May 18th, 2017, it stated that Hamilton Niagara area carries the Ontario’s worst survival rates among breast cancer patients. In this survey, Hamilton Breast Cancer: the average 5 years survival rates among women in the Hamilton Niagara region was about 85% between years 2009 and 2013, which was inferior to the 89% average in Ontario, and the 92% of the best survival figures in the province. In 2017, the Hamilton, Niagara Region incidence of breast cancer among women was expected to be 144 women for each 100,000 population that year, taking into account the average provincial rate was 146 cases that year. So far, there are no clear reasons to explain why Hamilton Niagara region carries a lower survival rate among breast cancer patients in the province and the medical team in the Juravinski Cancer Centre is working on that issue to look for possible reasons. An urgent question arises as to what should we do to improve the response rates/ survival of breast cancer patients in the Hamilton/ Niagara region. The answer to that question comes from knowing the risk factors/ possible causative factors that contribute to the high-risk behaviour of this type of cancer in the Hamilton/Niagara region as compared to the other cities in the province. A collaboration between oncology research institutes in Ontario such as Juravinski Cancer Centre, Juravinski Cancer Centre and Sunny Brook Odette Cancer Centre is essential to investigate more about breast cancer prognosis and treatment in the near future. Any role of Naturopathic Medicine? 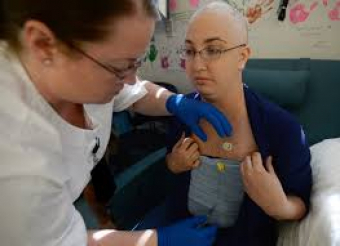 Naturopathic supportive care can offer a lot to cancer patients especially breast cancer patients. Improving the immune system to fight cancer is one big goal of naturopathic medicine in cancer care. Achieving a high performance of the immune system can be done by supporting the basic building blocks of the immune system which are the amino acids that came from the protein. Another essential component of the immune system care is achieving enough amounts of vitamin D.